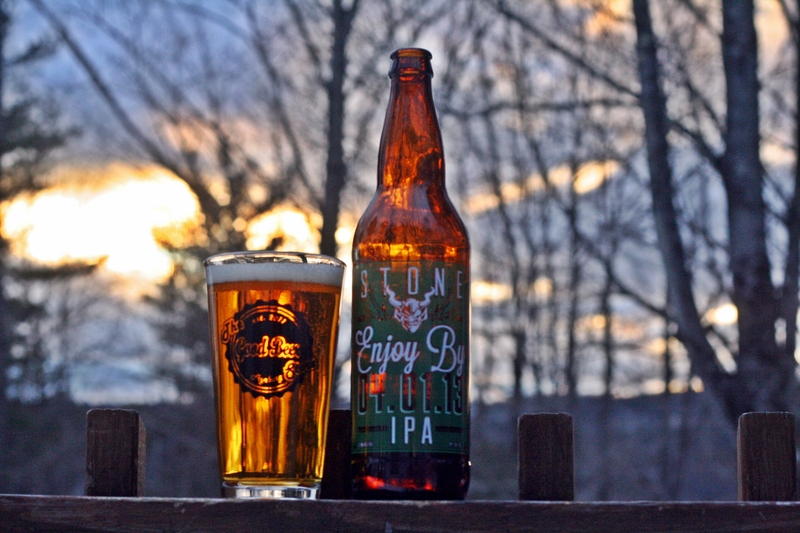 The Stone Enjoy By series is an example of great marketing and excellent beer. 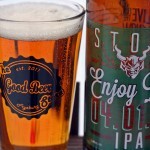 Stone usually labels labels their beer with an enjoy by date or will let you know the beer is OK to cellar. Many retailers and consumers probably ignore these dates but that is almost impossible to do with their Enjoy By series. 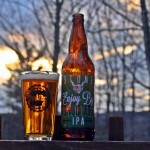 The Enjoy By 4.01.13 is the fifth batch of this beer and the first one that made it to Maine. Appearance if a crystal clear with a thin white head that leaves a nice lacing on the glass. Aroma is all piney resin hops and there is a lot of aroma with this beer. Taste again has lots of pine but also some nice citrus and you can tell these hops are fresh, which is the whole point of Stone Enjoy By. Alcohol is well hidden considering it is 9.4% ABV. This is a really nice beer and I hope we get future batches of Enjoy By. 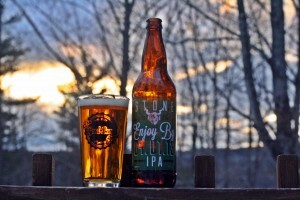 Brewers Description: You have in your hands a devastatingly fresh double IPA. While freshness is a key component of many beers – especially big, citrusy, floral IPAs – we’ve taken it further, a lot further, in this IPA. You see, we specifically brewed it NOT to last. We’ve not only gone to extensive lengths to ensure that you’re getting this beer in your hands within an extraordinarily short window, we made sure that the Enjoy By date isn’t randomly etched in tiny text somewhere on the label, to be overlooked by all but the most attentive of retailers and consumers. Instead, we’ve sent a clear message with the name of the beer itself that there is no better time than right now to enjoy this IPA.